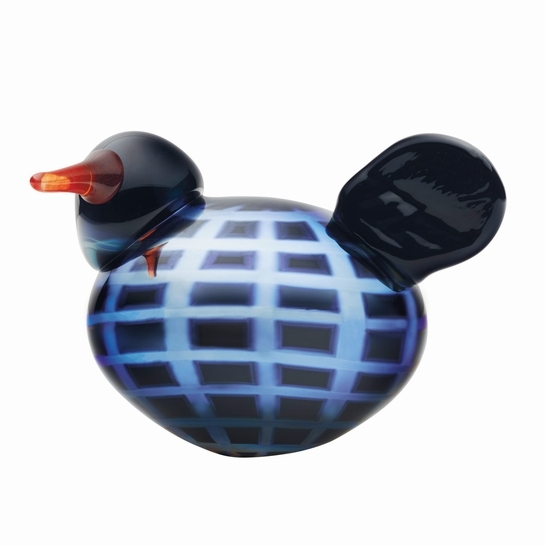 More about iittala Toikka Washington DC Bird Exclusive to GlassBirds.com and select retailers, only 200 iittala Toikka Washington DC Birds exist; this makes it a valuable addition to any Toikka collector's flock and a special US capital keepsake. The grid pattern pays ode to Capitol Hill and the city's street system while adding depth and interest to the plump body. A mirror finish beautifully reflects the colors and movement of its surroundings, though it tends to cast its own beautiful blue glow. Notice how the amber beak points off to one side as it gazes out to the distance.Iittala chose five influencers from around the world to channel the soul of their city in a collaborative design project called Bird and the City. Owner of DC-based Pop! Gift Boutique Derrik West provided inspiration to Oiva Toikka for the design of the Washington DC bird.